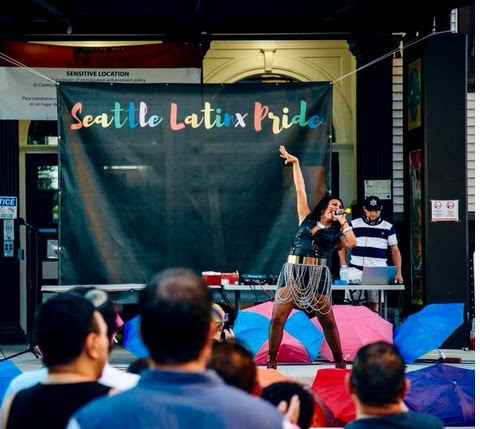 Last weekend, Somos Seattle hosted their annual Latinx Pride Festival. Somos throws the festival to celebrate acceptance and self expression among the Latinx LGBTQ community. This festival promotes togetherness through music and celebration. With performers like Enrique Cruz, Latin Rose, La Guzman, and more, Somos fosters a fun and happy fundraising experience. Raising a whopping $2,146 with DipJar alone, Somos continues to embrace and celebrate the Latinx LGBTQ Community. A.D. Players Theater is fundraising in a way that everyone should try out. With a DipJar set to $25, the donor "pays it forward" for children and adults who otherwise could not afford to see a show. Each dip buys a ticket to a show to expose people in the community to the culture and entertainment that the theater works so hard to provide. "Pay it forward" is an amazing way to utilize DipJar, engage donors, and make a direct contribution to the community! This daily collection method is a consistent and effective way to fundraise.